Carry the Duck Commanders colors with pride with the new Authentic Duck Commander Blind Bag. This signature blind bag keeps gear organized while letting your DC flag fly. 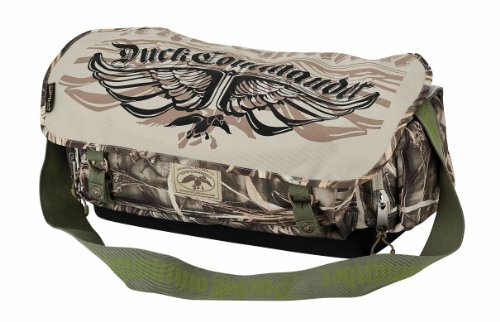 Emblazoned with stylish Duck Commander graphics—with a mix of colors and camouflage––it provides plenty of room for all your shooting gear. Rugged 600 Denier Polyester canvas gives the bag a vintage, rough-n-ready look while the exterior shell dispenser gets you loaded and ready in seconds. If you have any questions about this product by DUCK COMMANDER, contact us by completing and submitting the form below. If you are looking for a specif part number, please include it with your message.